Fresh fruit is frosted with a coat of sweet fondant. This recipe for fondant-dipped fruit works well with strawberries, grapes, cherries, or citrus segments. The amount of fruit required depends on the type of fruit. You may have excess fondant remaining, but you can always add flavorings and create additional candies out of the leftover fondant. Use store-bought or Basic Fondant for this recipe, and be sure to check out the photo guide showing how to make fondant, which includes a section on melting and dipping fondant! 1. Prepare a baking sheet by lining it with aluminum foil or waxed paper. Place the sugar in a shallow bowl nearby. 2. Wash the fruit, and gently pat it dry with paper towels. 3. Cut the fondant into small pieces and place them in the top of a double boiler set over gently boiling water. Place a candy thermometer in the fondant. Stir while the fondant melts, watching to ensure that it does not exceed 140 degrees. 4. If the fondant is not liquid enough to dip, add a teaspoon or two of water to achieve desired consistency, and stir until the fondant is smooth. 5. Hold a piece of fruit by the stem or by one end, and dip three-quarters of the fruit in the fondant. Remove it and shake it several times, then scrape it against the lip of the pan to remove excess fondant. Roll the fondant portion in the granulated sugar to create a sparkling layer, and place it on the baking sheet to harden. 6. Repeat with remaining fondant and fruit. If the fondant starts to get too hard, place it over the double boiler briefly to warm it. 7. 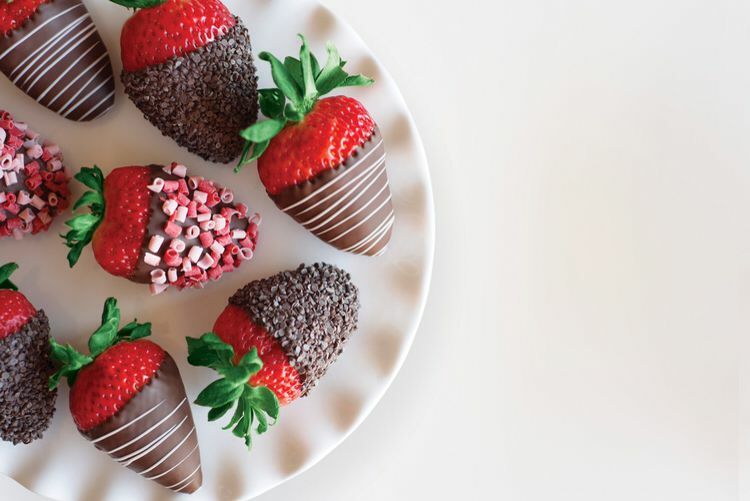 Fondant-dipped fruit should be eaten on the same day it is made.